At the 2017 Helicopter Association International Heli-Expo show, Sikorsky recognized Helijet International Inc for 30 years of safe scheduled airline and charter operations with S-76 helicopters. 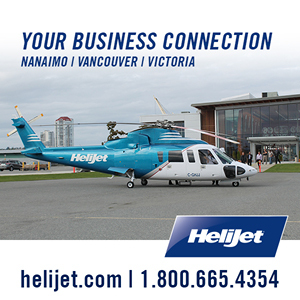 Helijet’s fleet of 11 Sikorsky S-76 helicopters is used primarily for scheduled passenger transport, air medical services and corporate charter services. 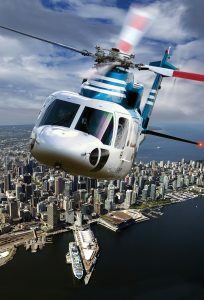 Sikorsky’s global S-76 fleet recently achieved a seven-million flight hour milestone, to which Helijet’s operations contributed. Sikorsky also recognized Helijet President & CEO Daniel Sitnam for his dedication and commitment to safety, leadership and training throughout the 30-year journey. For more than 19 years, Helijet has provided air medical transport services through its British Columbia Ambulance Services (BCAS) division. The BCAS Airevac Ambulance Program is one of the largest in North America, with approximately 7,000 patients flown every year, with pilots often navigating rugged terrain and adverse weather day and night. Sikorsky has delivered more than 850 S-76 helicopters to customers globally since 1979 and will celebrate the 40th anniversary of the S-76’s first flight on March 13. The legendary S-76 helicopter operates in more than 40 countries on five continents.